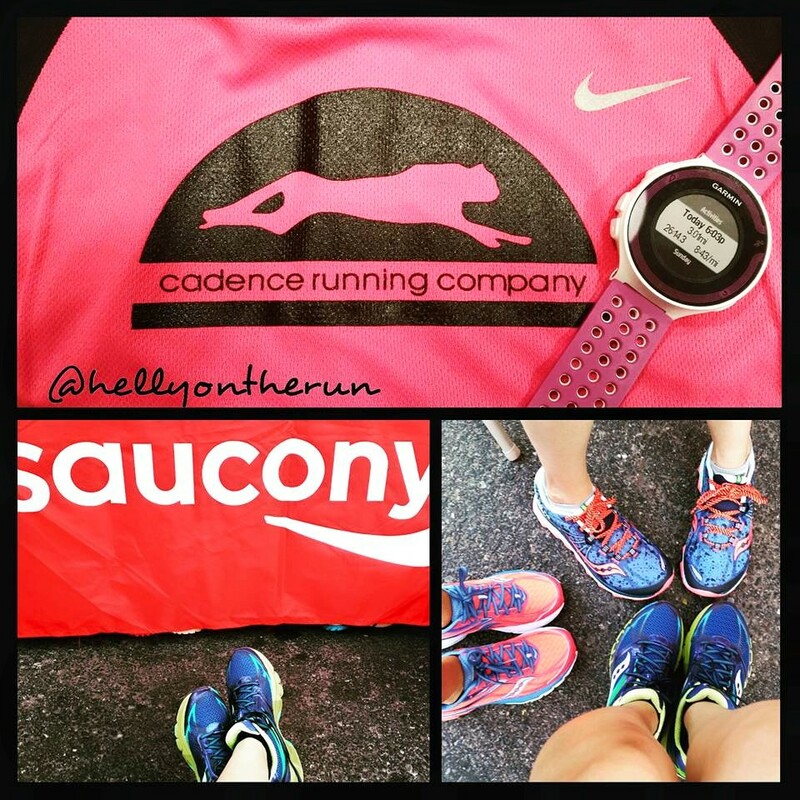 I met up with my friends at a local running store for a 3 miler (it was also Saucony demo night!) and wouldn’t you know it, negative splits..again!! This time at much faster paces I haven’t seen in a while: 9:08, 8:43, and 8:14 –yep, you’re seeing that third mile correctly! I felt like I was pushing myself but it wasn’t a painful pushing at all but a more comfortable uncomfortable and that’s something I’ve been wanting to work on–being okay with uncomfortable. Running this way won’t happen all the time as I’m a big believer in that not all runs should be done fast, but it’s nice that on a run where I’m feeling good, I can challenge myself a little. Maybe it was the Saucony’s? Second, I have a brother update. 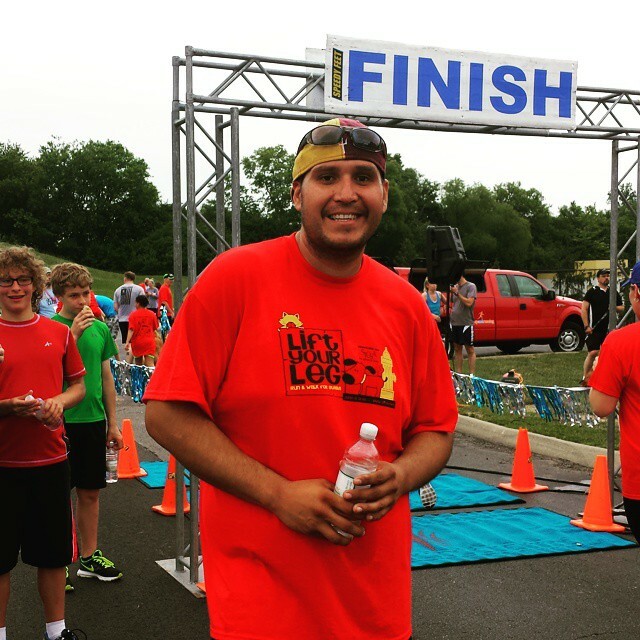 If you’re a new reader or don’t remember the awesomeness that is my brother, you can read about his weight loss here and his amazing first half marathon here. Anyway, he ran a 5k this past weekend. I don’t think you’re ready for this….. …..He finished in 24:47! YES, 24:47! Finally, you guys all know about my BRF Salt, well…she made her Runner’s World Debut yesterday!!! 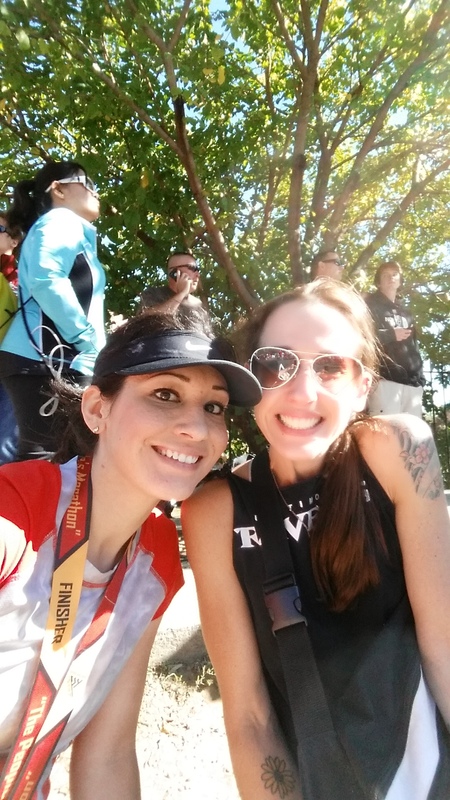 She’s featured on their website, Runner’s World: Zelle, and you have to go read the article written about her fabulousness. Go ahead, I’ll wait! –When’s the last time you had a great run? –Any family members inspire you? –Have you ever been in a newspaper/magazine? I haven’t ran in a while either! I want to run but this heat wave is keeping me off the streets. Your post is inspiring me to just go for it though! The heat is definitely tough and I think running with my friends helps me not think about it as much lol! I cannot believe your brother’s 5k time–that’s incredible! Congratulations to him! I haven’t been running super fast lately, but I’m starting to just feel more comfortable with running in general, which is awesome. I think running shorter distances more often is helping. I’m glad you had such a great run! I am looking forward to having a comeback run of my own! AWH love this. You and Salt are so inspiring, and I love the story about your brother! It’s been a bit since I’ve had a stellar run, but I know that comes with the taper so am embracing it. Congrats to your bro! Ah! What a wonderful article about Salt!!! Thank you and yes, she is all awesomeness!! Wow, so cool about your bro! And Salt is famous! That’s an awesome time! Both yours and your brothers! I really did leave your page to read her article first. 😀. It’s a great article! So glad you had a good run – great job on those negative splits! AND HOLY CRAP – your brother is still at it and KILLING it. So cool. 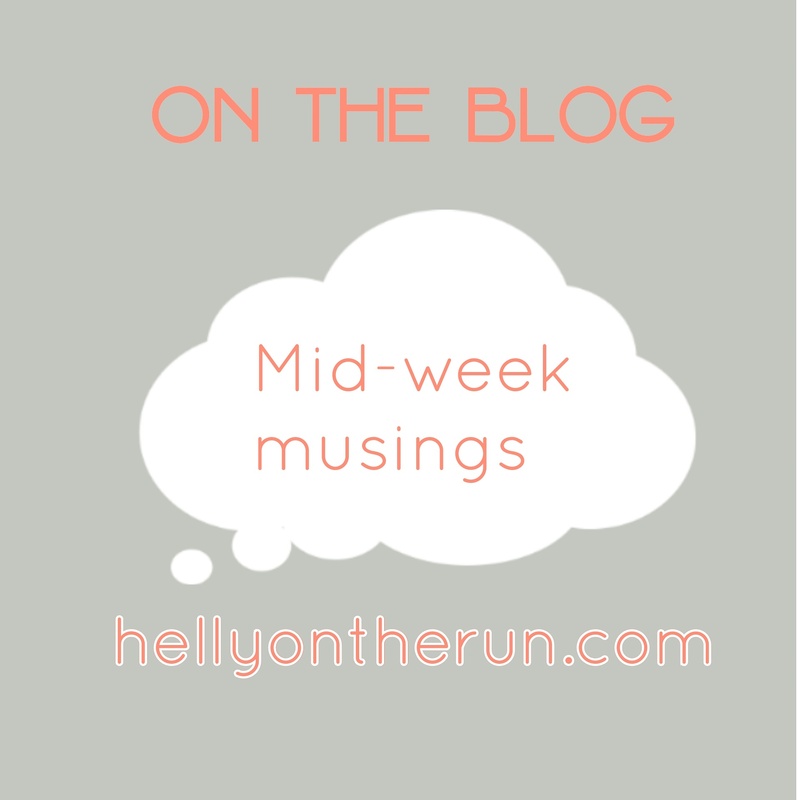 My last great run was actually this past Tuesday – it felt great!! I’ve been on the local news a few times for running Boston the past 5 years…never in a magazine but definitely in the local newspaper for running! Your brother is rocking it! You must be so proud!! And thanks for sharing Lauren’s article, I hadn’t seen it yet! ← Let The Training Begin! !